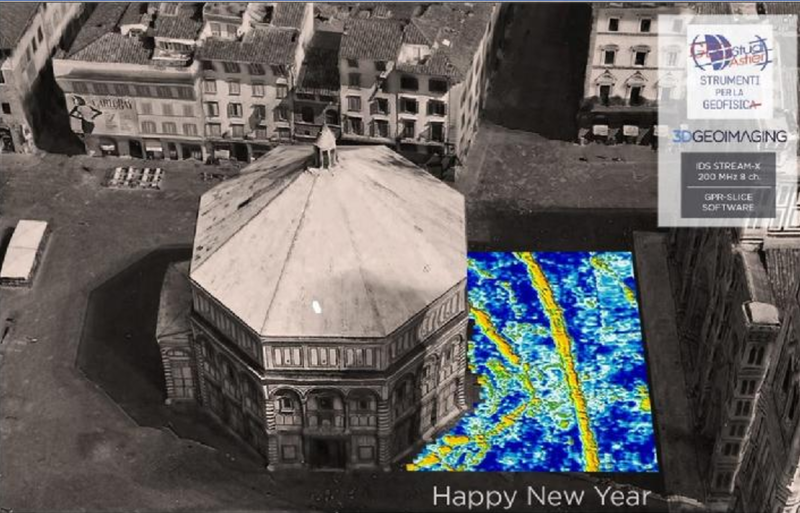 GPR-SLICE image made by Dr. Gianluca Cantanzariti (www.3DGeoImaging.com) next to a cathedral in Florence, Italy. 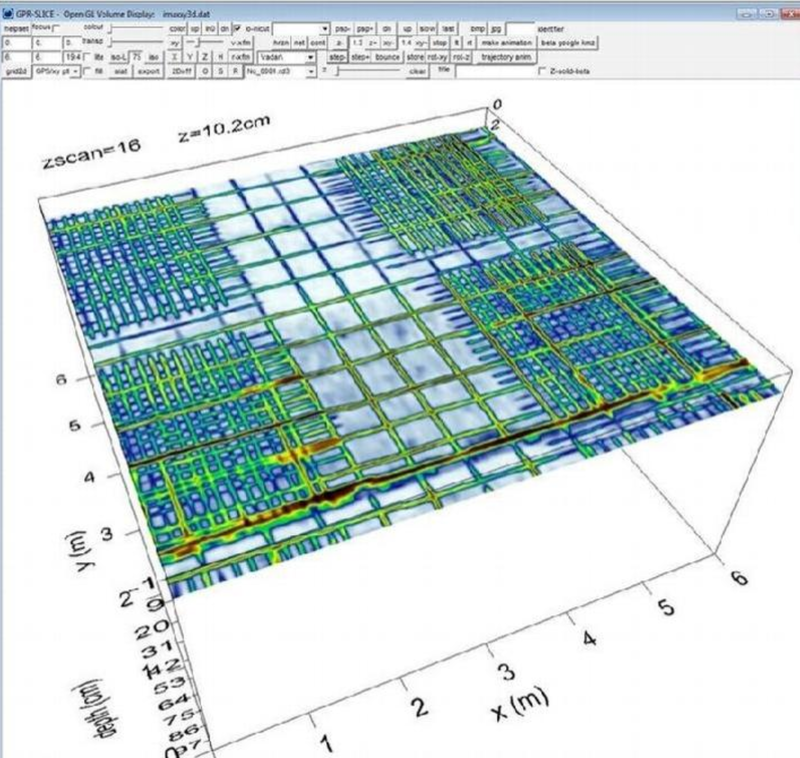 GPR-SLICE image made by Magnus Larson with WSP Civils in Sweden on concrete with different rebar densities. 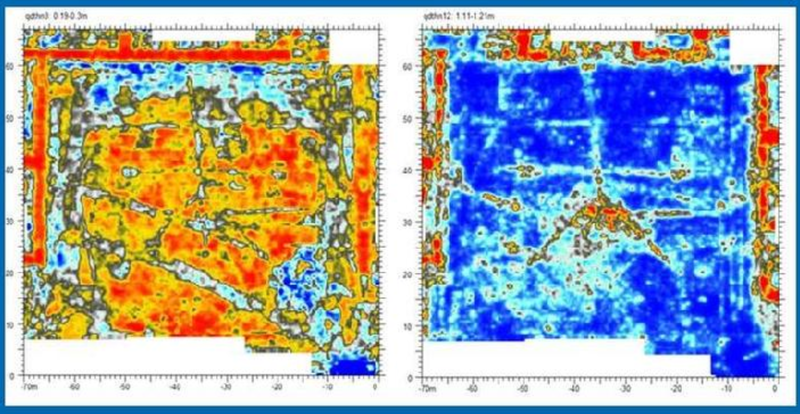 GPR-SLICE image made by Harold Fulton with EMC Geophysics in Houston on a factory floor - 2ft profile separation. 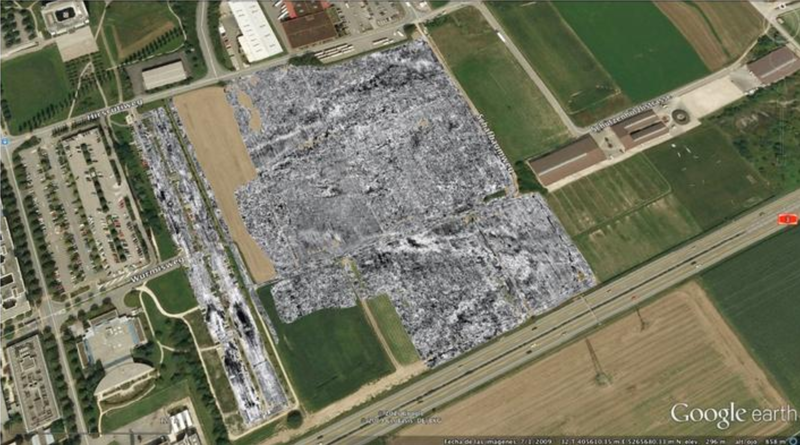 GPR-SLICE image made by Gianluca Catanzariti and Juerg Lechenbusch on a 15 hectare site in Switzerland with multichannel GPR. 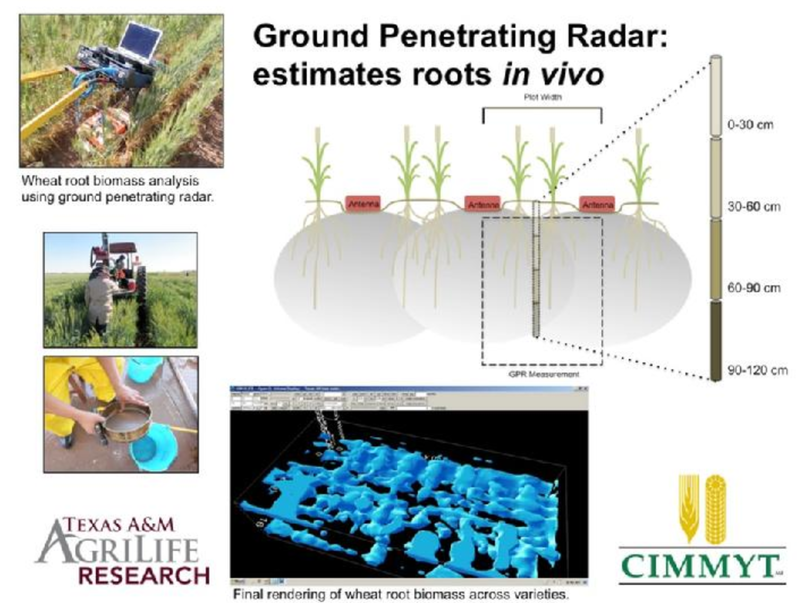 GPR-SLICE image made by Texas A&M Agri Research Dept (Prof Dirk Hays group) to detect the root systems for phenotyping. 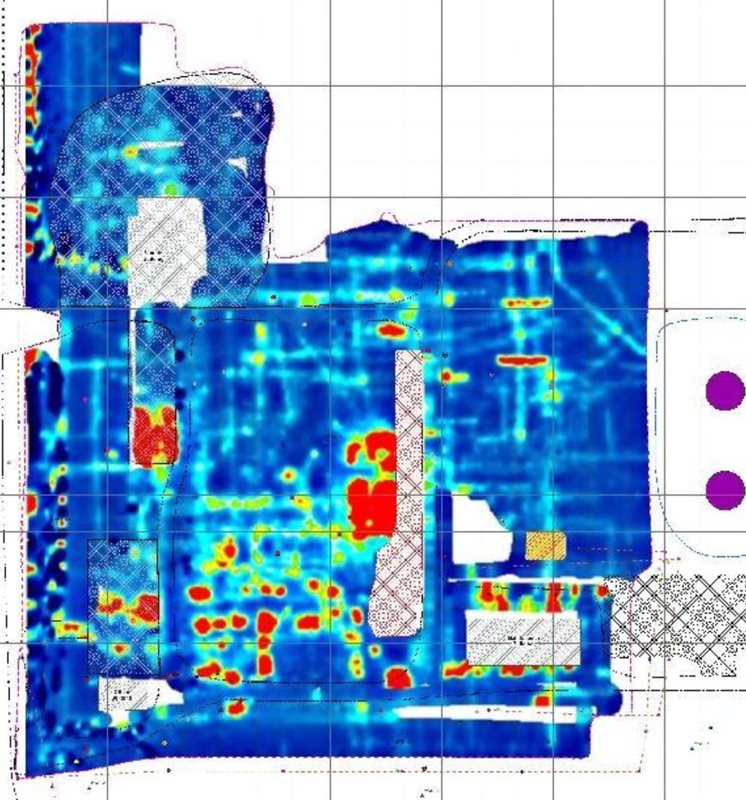 GPR-SLICE image made in conjunction with Steve DeVore of the National Park Service at a site in Brownsville Texas. 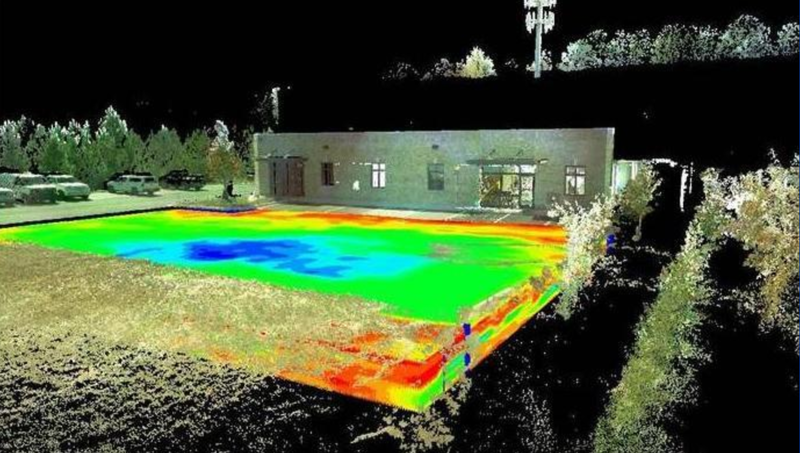 GPR-SLICE volume imported into point cloud software with lidar data (courtesy of Kent Schneider and LandAirSurveying). 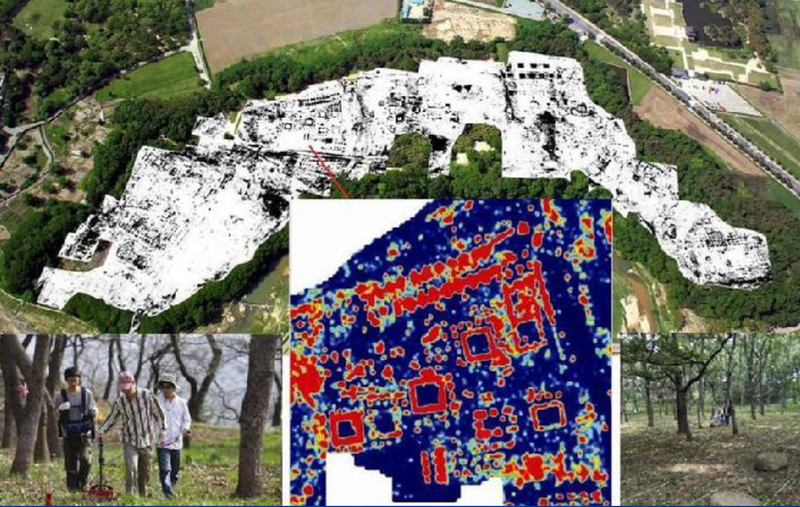 Dr. Hyun dok Oh, from the Korean National Institute for Cultural Properties, recorded this image from the Wolseong Fortress, which was a former historic capital and lasted from 57 BC to 935 AD. 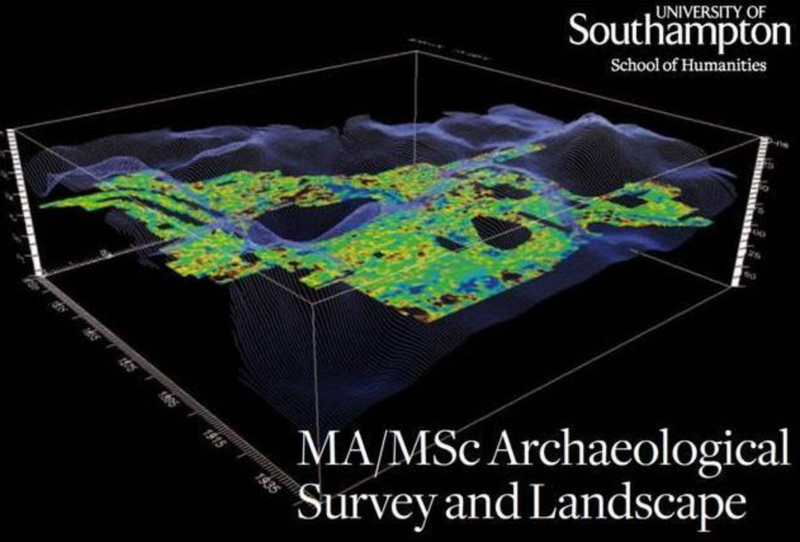 James Adcock in the UK made these GPR-SLICE images of the garden at Windsor Palace. 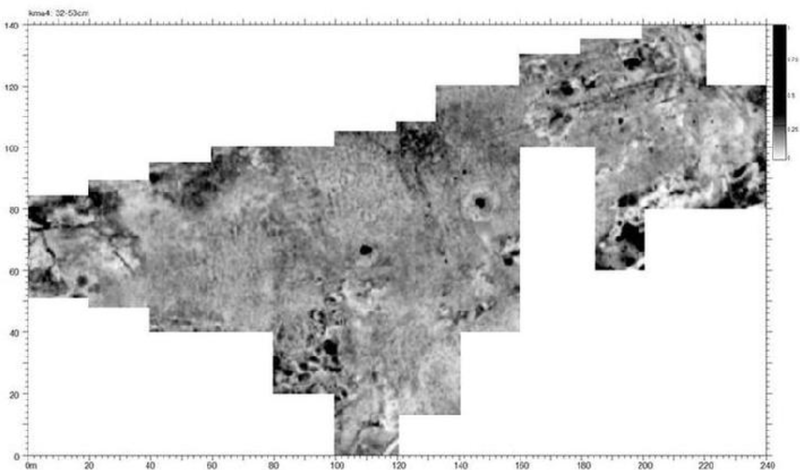 The images show shallow and deeper structures which may be related to remnant foundations from previous buildings that once adorned the site.